Yang Huiyan (杨惠妍; born 1981) is a Chinese property developer and the majority shareholder (55%) of Country Garden Holdings. She is the richest woman in Asia. She is the daughter of Yang Guoqiang, who started his company Biguiyuan in 1997 and transferred 70% of Country Garden’s shares to her before its IPO in 2007. The wealthiest mainland Chinese in the previous year, 2006, was Huang Guangyu. Country Garden’s initial offering raised about $1.6 billion, or as much as Google raised in 2004 in the United States. As of June 2018, Yang had a net worth of US$25.8 billion. Yang is vice chairman of the board’s governance committee and helped raise $410 million selling new shares in 2014, according to Forbes. Yang is a 2003 graduate of Ohio State University. Yang Huiyan has racked up a lot of firsts. 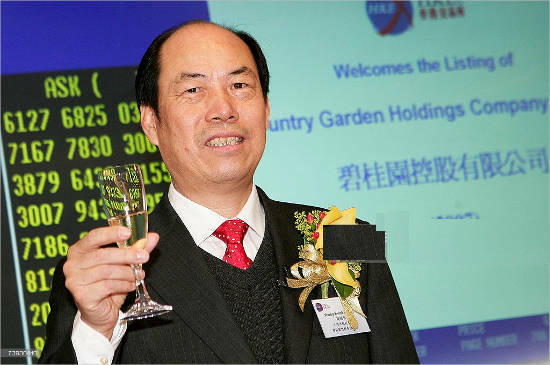 The Chinese controlling shareholder of Country Garden Holdings Co., the nation’s largest real estate developer by sales, is currently the 35th richest person in the world, according to Bloomberg’s Billionaires Index. The 36-year-old is also China’s richest woman and its youngest billionaire. Her net worth is estimated to be $22.3 billion. But she’s no newcomer to Asia’s most powerful and wealthy moguls. Yang Huiyan was actually the richest person in China in 2007 at only 26 after her firm started trading on the Hong Kong Stock Exchange, when she suddenly became worth $16 billion. She’s a rare example in her home country, which has enjoyed a massive economic boom over the last generation, of someone who inherited their billions. Her father Yeung Kwok Keung, who co-founded Country Garden in 1992 and goes by his Cantonese name, transferred his stake in the company to her in 2005, grooming her to takeover. His intention has been to “train Yang Huiyan as the successor of his family’s interest” in the group, Country Garden said in a statement of its initial public offering. Yang now owns 57% of Country Garden. That fortune is perhaps why the newspaper China Daily announced her marriage by telling readers, “Sorry, bachelors.” Yang is press-shy, and little information is out there about her personal life, including her husband, who’s reportedly the son of a top Chinese official. The two apparently met on a blind date. What’s also known: She’s a graduate of Ohio State University and has a younger sister, Yang Ziying, who also sits on the Country Garden board. Yang has interests beyond real estate. She also chairs Bright Scholar Education Holdings, the largest operator of international and bilingual K-12 schools in China, which was listed on the New York Stock Exchange in 2007. Yang’s father—another figure flying under the public radar—hasn’t entirely left Country Garden in her hands. He’s still the company’s chairman and chief executive, while she’s vice chairman. He worked as a farmer and on construction sites before building his empire, according to Chinese media. But she’s profiting quite nicely as a result of the gradual handoff. Yang was in the news again in January, when a surge in Country Garden’s stock increasedher wealth by an astounding $2.1 billion—all in four days of trading. Not a bad payday for less than a week of work. China’s developers have generally enjoyed a recent boom in its property market. Yang is No. 4 among Chinese billionaires on Bloomberg’s index, just behind Hui Ka Yan (worth $27.4 billion), 59, the chairman and largest shareholder of China Evergrande Group, which has built more than 500 projects in 180 Chinese cities. But Yang has plenty of time to catch up. Yang Huiyan was born in Shunde, Guangdong, China on 1981. She is one the wealthiest female in Asia and also one of the richest in the world. Huiyan is currently the chairperson and major shareholder of County Gardens. When Huiyan was only 25 years old she became a billionaire. Seventy percent of the company shares were transferred to her name before the company was sent to IPO by her father. She completed her graduation from University of Ohio State, the United States from Marketing and Logistics in 2003. From the early age, she accompanied her father when he used to go for a meeting. Starting from that point she was learning how the business is to be done. Since small age, she understood her father’s work closely. She had seen all the ups and downs of her father and stood by his side to comfort him. Just after completing her studies she came back to China in 2005 and joined the company as purchasing manager. She was working hard and shown her potential and in just one year she was appointed as the executive director. With knowing all the working of the company she is the perfect heir of her father’s establishment. Yang Guoqiang is the father of Huiyan who was born on 9th October 1954 in Shunde, Guangdong, China. He is the founder and establisher of County Gardens Group which is one of the biggest real estate developers in China. From the early ages, Guoqiang knew that life is unfair and he was to work hard to earn a reputation. He was the son of a farmer and had to work hard in fields with his father. When he was 16 years old he was not having enough money to pay school fees. All thanks to his good grades he was given a scholarship, for which he paid the fees and bought books. There was a time when the Cultural Revolution started and all the stalls were out of books. Guoqiang with some school friends went to different scrap yard to buy old books. All the school children used to read those books and shared with each other. Guoqiang never forgot how hard it was to study and today he run a high school Guohua Memorial School which is named after his dead brother. The education is basically for poor students who cannot afford to study. All the teachers who teach in the school are well qualified. Guoqiang is still alive and working for the benefit of others. Guoqiang is married to Wang Yi and both are living a healthy and good life. 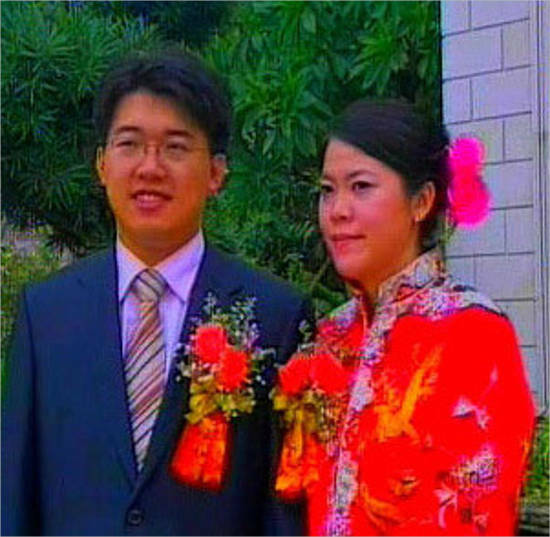 In the ending months of 2006, Huiyan took her marriage vows with Chen Chongwei who is the son of an official. Their marriage is more like a fairy tale where both went on a blind date and fell in love with each other. Soon they both got engaged and were ready to become husband and wife. After the marriage, Huiyan got hold of the major shares of County Garden Groups. With all the energy and knowledge Huiyan is running the company on her shoulders as a major shareholder. There is no information about the couple are having kids or going to have some. After getting 70 percent shares from her father Huiyan took in charge of the workings of County Garden Holding Group. She already was aware of the working of the company and was the right person to be chairman. She is one of the youngest billionaires in China and holds a Net worth of $9.4 Billion.